» Do Stop-Snoring Mouthpieces Actually Work? 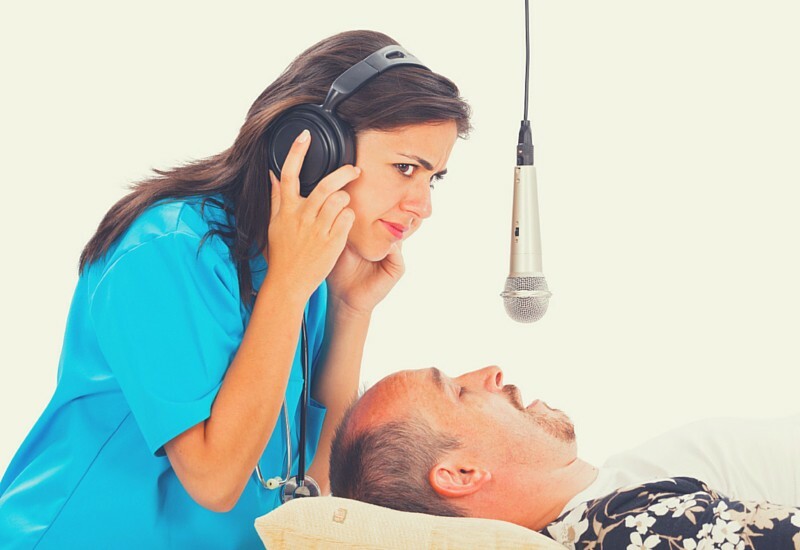 Do Stop-Snoring Mouthpieces Actually Work? As most chronic snorers understand, there are countless products available to help reduce or eliminate chronic snoring. With everything from disposable nasal strips to anti-snoring pillows to expensive home appliances (such as a CPAP), it’s hard to know where to begin. Stop snoring mouthpieces are one of the more popular choices, but how do you know which one is right for you? In general, most of the stop-snoring mouthpieces on the market fall into one of two categories: mandibular advancement devices and tongue-retaining devices. The term “mandibular advancement” is simply a fancy way of saying that the device is designed to bring (and hold) the bottom jaw forward. These mouthpieces work best in situations where your jaw structure is the major contributing factor in your chronic snoring problem. Multiple medical studies provide strong support for this type of device, and researchers report a significant improvement in the respiratory function and sleep quality for chronic snorers who used mandibular advancement devices, regardless of the severity of their condition. It’s important to note, however, that while medical research does support the use of this category of stop-snoring devices as a whole, not all of them will be created equally. With regard to quality, functionality, and durability, it’s up to you to do your research about the overall satisfaction of patients who have previously used the product. I would recommend you to start with AirSnore Mouthpiece, SnoreMeds, or SleepTight. These are our favorite devices at the time of writing this. Tongue-retaining devices are a newer concept than the mandibular advancement type, so there is significantly less research surrounding their use. We do know, though, that the premise behind the design is that the bottom jaw is not always to blame for chronic snoring. In many cases, the tongue and throat are the major problem behind sleep disturbance, and the tongue retainer aims to correct that. Typically, tongue-retaining devices will attach to the tip of the tongue with just a bit of suction. This pulls the tongue forward, which then opens the airways for easier breathing. It’s a very simple concept that has produced profound results for chronic snorers worldwide. One medical study, performed in 2009, stated that the success rate of tongue-retaining stop-snoring devices was comparable to the results of mandibular advancement. Keep in mind, though, that your personal success with each type of device is extremely dependent upon the underlying cause of your snoring. If you are considering a tongue retaining device, I suggest you start with Good Morning Snore Solution. It’s the most popular TRD on the market at the moment. Many experts have stated that the use of anti-snoring mouthpieces often produce better results than the use of more expensive treatments, such as Continuous Positive Airway Pressure (CPAP) machines. This is largely attributed to comfort and practicality. In the case of CPAP machines, many patients report that the machine is too uncomfortable and noisy to be considered a reasonable nighttime solution. Fortunately, it’s very easy to adjust to the way most stop-snoring mouthpieces feel, and making the choice between the two types of mouthpieces doesn’t have to be as challenging as it seems. They are almost always affordable enough to make “trial and error” a feasible option, so if you try one that doesn’t work well for you, you can easily move on to a device that will be effective for your unique situation. Check out our Stop-Snoring Mouthpiece Comparison Table for more information.